Wide-eyed, Del ran his fingers across the crisp, white paper, a stack of sheets bound together by brass fasteners along its left margin. He was in his early twenties. “Don’t look so surprised,” Marilyn Monroe replied with a staccato laugh. “I’m a woman of many wonderful traits.” Though thirty-six years old, she took childlike pleasure in his reaction. Innocent. She had exquisite diction, a byproduct of training with Natasha Lytess, her first acting coach. They sat together in the living room of her home in Brentwood. “Johnny Angel” played on her phonograph. They were alone in the house. As her words drifted, young Del noticed she had waded into the territory of the forlorn. For the past year, she had seemed more prone toward that tendency, and pain filled Del’s heart whenever he watched it emerge. He tried to return her attention to the script, which seemed to make her happy. It was an obvious source of pride for her. Her countenance brightened again, and Del felt relieved. She shot him a cunning glare. Del fanned the pages, opening the document at random points to scan snippets of dialogue. What a sense of accomplishment she must have felt! He admired its professional layout, which looked identical to the scripts he’d used on the sets. Del wondered it Marilyn had typed this on the manual typewriter he’d seen Arthur Miller use in their home. Young Del ran his hand across Marilyn’s screenplay again, eager to read it from beginning to end. Maybe they could perform in it together! Yet he couldn’t ignore a chill that raced up his spine. Why here? Why now? 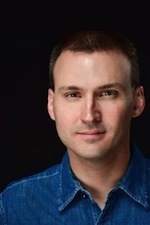 John Herrick is the author of From the Dead and 8 Reasons Your Life Matters. A graduate of the University of Missouri—Columbia, readers turn to him as a chronicler of spiritual journey and the human heart. Herrick lives in St. Louis. Hello readers! Enjoy the read! I liked the excerpt, thank you. Sounds like a good read. Thank you, Rita! I appreciate that.  It's always a relief to hear readers respond well to a book--I don't take that for granted! Thank YOU for your interest! Happy reading, Sara! Best wishes on the contest! And either way, you can grab Beautiful Mess for Kindle on sale at $1.99 through next week. 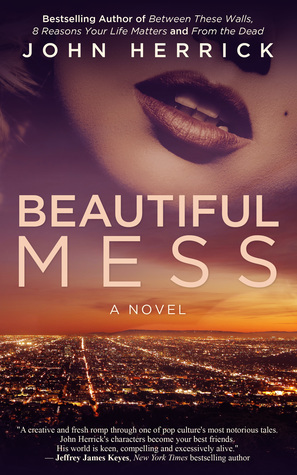 Btw readers, Beautiful Mess Kindle book is ON SALE $1.99. That was a great excerpt thank you.